In a fantastic opinion written by Judge Posner, a 7th Circuit federal court has reversed the lower court and opened the floodgates for concealed carry to come to Illinois. 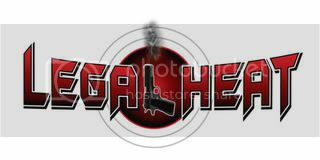 Legal Heat has been teaching classes in Illinois for over a year and we have been anxiously awaiting the time when law abiding citizens will finally have the opportunity to defend themselves. According to the recent decision in Moore v. Madigan, that opportunity will arrive within the next 180 days. As 2012 Illinois gun violence rates, including murders, easily outpaces past numbers, Chicago Mayor (and gun control fanatic) Rahm Emanuel may finally be forced into the realization that banning guns only disarms the law abiding. Whether he likes it or not, lawfully carried firearms are coming to the Windy City, and Legal Heat couldn’t be happier. The outright ban on carrying weapons in Illinois is unconstitutional and as such Illinois must come up with a gun law that allows for the carry of firearms outside of a home. Judge Posner appears to condemn “may issue” laws, such as those in New York and California. It is unlikely a may issue system will survive a court challenge should Illinois try to put one in place. For one of the first times in federal court, the right to keep AND bear arms is recognized (for the distinction between “keeping” and “bearing” arms see our previous article here). What this means, is the right to carry a gun outside of a home is being recognized as a Second Amendment right by the 7th circuit for the first time. You can hear Legal Heat discussing the recent ruling in Moore v. Madigan (as well as other topics) on the Mike McConnell Show here. Interview begins 35 minutes into the show. We’ll make sure to keep you up to date on any news as it comes down. Make sure to follow Legal Heat on Facebook, Twitter, or Instagram for updates. It is about time. Now instead of being a victim or a felon, we can now level the playing field a bit. Concealed carry has been legal for years for some…as low as the mayoral level. Why have their lives been more important than any other citizen’s? But nobody admits that privileged people have always been able to protect themselves….I never know it until a mayor admitted government employees are allowed to carry. Anyone who intends to do harm is already bring the law. Good citizens willingly submit to federal checks and such TO be able to carry. There will be a significant drop in violent and other crimes in Chicago. Conmgrats, Illinois. Long time coming. Legal Heat Giveaway: $250 + 2013 Legal Heat Book.